New! OceanTwo | 2 Bed Penthouse, Barbados. Ocean Two is a chic and contemporary property offering 88 rooms and suites boasting luxury beachfront living combined with excellent facilities and exceptional personalized service. Located just 10 min from the airport and 15 min from Bridgetown. Ideal for those looking for blissful relaxation on a beautiful beach that is within easy reach of restaurants and nightlife. The beachfront pool offers swim up bar and a large spacious deck; the adults-only rooftop plunge pool offers fabulous views over the South Coast of Barbados. Two Bedroom Penthouse Suite Located on the 6th and 7th floor guests can enjoy stunning views from the panoramic furnished balcony as well as 2 large private bedrooms with king beds, 2 large bathrooms and a grand open plan kitchen, dining and living area that flow out onto the panoramic balcony. Ideal for families or couples looking for that something extra. Cancellation Policy: For cancellations greater than 57 days prior to arrival, US$250.00 is forfeited. Cancellations between 56 and 42 days prior to arrival, 30% of gross rental rate is forfeited. Cancellations between 41 and 28 days prior to arrival, 55% of gross rental rate is forfeited. Cancellations between 27 and 14 days prior to arrival, 80% of gross rental rate is forfeited. 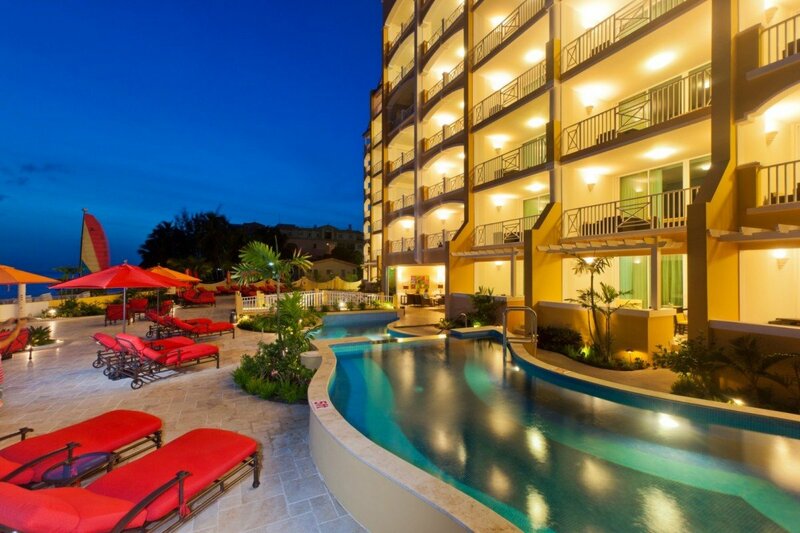 Cancellation 13 days or less, 100% of gross rental is forfeited. Please note all Christmas and New Years reservations are non-refundable. OceanTwo | 2 Bed Penthouse is offering 20% off for travel between March 1, 2019 and August 6, 2019. OceanTwo | 2 Bed Penthouse is offering 35% off for travel between April 14, 2019 and December 17, 2019. OceanTwo | 2 Bed Penthouse is offering 20% off for travel between December 18, 2019 and January 5, 2020. OceanTwo | 2 Bed Penthouse is offering 25% off for travel between January 6, 2020 and January 15, 2020. OceanTwo | 2 Bed Penthouse is offering 15% off for travel between January 16, 2020 and March 15, 2020. OceanTwo | 2 Bed Penthouse is offering 20% off for travel between March 16, 2020 and April 19, 2020. OceanTwo | 2 Bed Penthouse is offering 35% off for travel between April 20, 2020 and August 31, 2020. OceanTwo | 2 Bed Penthouse is offering 40% off for travel between June 1, 2020 and December 20, 2020. OceanTwo | 2 Bed Penthouse is offering 10% off for travel between December 21, 2020 and January 5, 2021. Two children (3 – 16 years – 16 inclusive) stay free when travelling with 2 paying adults. Note: The rates above are subject to 21.25% Tax/Service Charge.